…is the brand new nightclub located at Caesar’s Palace Las Vegas. 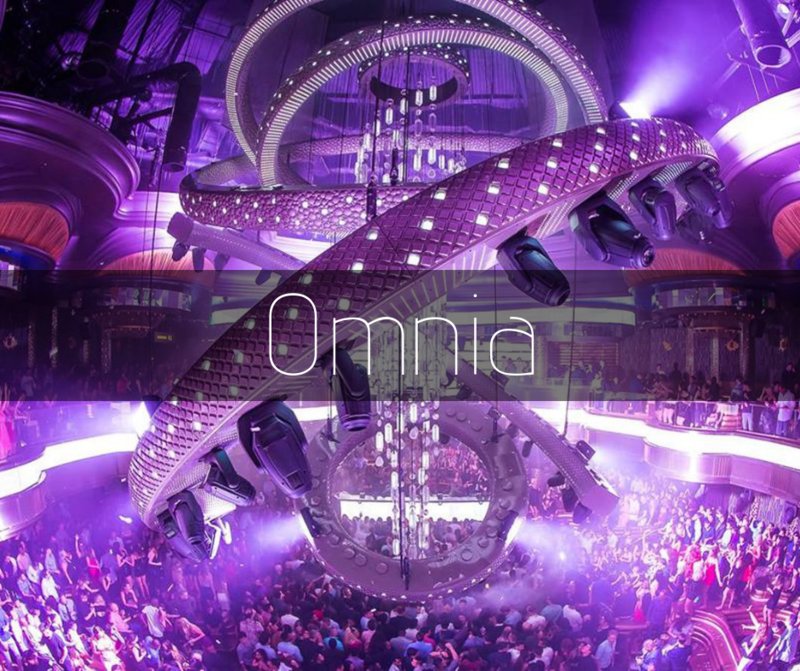 Opening in March of 2015, Omnia Nightclub plans to set a new standard for nightlife in Las Vegas. Previously PURE Nightclub, this Hakkasan Group property undertook a major renovation and makeover reviving the pulse of this property. Hakkasan Group has done it again with another amazing DJ line for Omnia Nightclub. Grammy winner Calvin Harris recently signed a 3 year exclusive deal with Hakkasan Group and he is now more involved than ever with the production and overall experience here at Omnia, and other Hakkasan properties. Artist list is impressive including Calvin Harris, Zedd, Armin Van Buuren, Party Favor, Martin Garrix, Loud Luxury & more! Mostly House/Electronic (EDM) with Hip-Hop in the Heart of Omnia room. Accompanying Calvin Harris are: Zedd, Armin Van Buuren, Party Favor, Martin Garrix, Loud Luxury & more!